Do you like the idea of modern classic motorcycles, but think fake carburetors disguising EFI systems are dumb? Yeah, me too. Also, Spidi just made a jacket for you. Surprise! 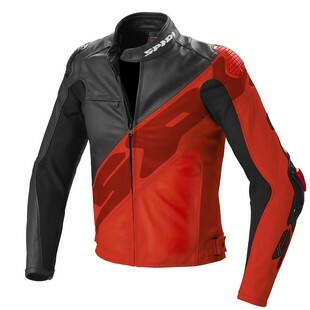 The Spidi Super-R Jacket is a thoroughly modern sport jacket, but with a style to match older bikes. Especially if it's a BMW in Motorrad livery. No longer do you have to decide between vintage styling and modern protection! The Spidi Super-R's 1.1-1.3mm cowhide chassis is more than adequate to handle anything you throw at it. A full complement of CE-rated armor (sans back protector-- that's extra) along with external Warrior sliders don't hurt either. A modern, race fit coupled with Tenax Flex will hold everything in place should you have a spill. You can even connect to Spidi race pants via zipper if you want, or technical jeans by way of a unique snap system. So whatever your jam, you'll be protected without looking like a Power Ranger. The Spidi Super-R Jacket isn't for everyone. There are more technical jackets out there and there are more vintage-looking jackets too. But if you want the best of both worlds, there are few choices that blend the two so well. If you want to be safe and look good doing it, you just hit the jackpot.